"Wrap and roll! This recipe is so simple it's hard to call it a recipe." 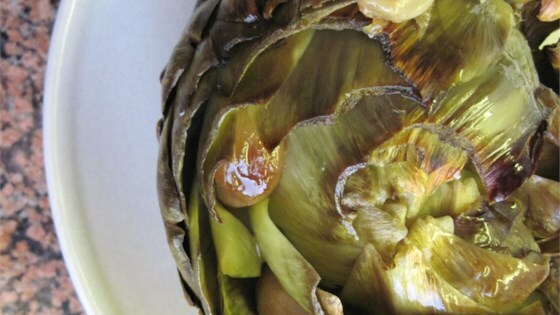 These were ok, but definitely not my favorite way to prepare artichokes. Probably won't make them this way again. This was so easy to make and turned out perfectly. The best artichokes I've ever had. Delicious. Chef John never dissapoints. It was my first time preparing artichokes and I was a little intimidated by them. This recipe is very easy with amazing results.